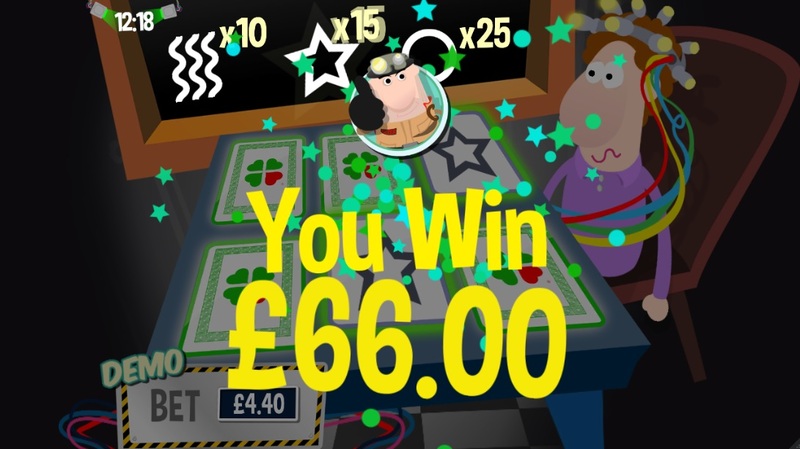 Buster Ghost Mobile Slot At mFortune Casino -- Free £5! Buster Ghost Mobile Slot At mFortune Casino — Free £5! Join Buster in his crazy adventures in Buster Ghost mobile slot by mFortune, featuring 15 paylines! Do you remember Buster? He was the lead character in one of mFortune’s most popular slot games – Buster Safe. The good-natured bloke broke into vaults and robbed banks of its fortunes. Anyway, it seems that Buster has recently switched careers! In his new slot game titled Buster Ghost, we’ll follow Buster as he rids the haunted house of ghosts to earn a hefty paycheck. If you’ve played at mFortune Casino before, you’ll know that their games are second to none. With three rip-roaring mini games, a jolly jackpot and a healthy dose of multipliers, you can expect nothing less than a sheer good time. There are 15 adjustable winlines in Buster Ghost, set in the standard 5x3 reel configuration. Games start at a mere 2p per payline, and can go up to £5 per payline. The size of your wager is calculated by multiplying number of win lines by bet per payline. For example, if you play 5 win lines at 10p each, you’d be wagering £0.50 per spin. I like to play with all 15 paylines at a time; this makes the game go by at an intoxicating quick pace. The reels of Buster Ghost are populated by an equal mix of ghostly and ghost-busting symbols. First, there’s the regular, low-value bunch – 10, J, Q, A and K, each accompanied by a spooky ghost. Then, there’s the brave knight who’ll reveal the jackpot if you get hold of five of them in a row. The fun symbols are those that unlock bonuses, namely the Extra Spins Ghost and three different ghost-busting gear – electrically-charged playing cards, possessed tricycle and the supernatural scanner (more about these bonus games below). To sweeten things further, there is a jackpot prize in Buster Ghost, which stands at just over £2,600 at the time of writing. Don’t brush it aside as a small sum of money though! Every time a player takes a spin on Buster Ghost, a small portion of the wager is set aside for the prize pool. The prize pool just keeps growing and growing by the day. 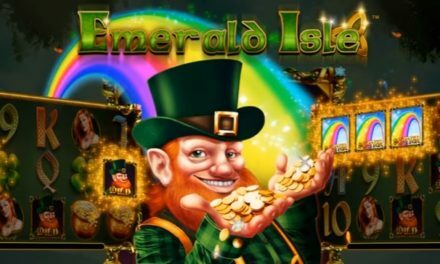 To take other progressive jackpot slots as a benchmark, you can probably expect the jackpot to climb into the five-figure range in no time! A small handful of these games even hit six-figures. As they say, you could be the next lucky bloke to win that coveted prize. We’ve got the same big-nosed character – Buster himself, except that he’s in khaki jumpsuit instead of his black-and-white robber stripes. Other characters from the earlier Buster Safe have also taken on new roles in this game – as ghosts! It’s like the mFortune designers had re-dressed the earlier cast of characters and set them on a new stage. The stage is set in the typical haunted house fashion, complete with the windy roads, crooked gates and eerie full moon. Well, if reusing elements of old games means that mFortune can churn out new games at a faster pace, I’m all game. To play Buster Ghost yourself, head on over to any of these places to download the app: mFortune’s website, Google Playstore or the iOS App Store. You can deposit money within the app itself. Besides the usual credit/debit card and e-wallet options, mFortune also offers mobile billing deposit from only £3. All you have to do is send an SMS and start playing! The money is either deducted from your phone credit or added to your monthly bill. Game Features: Possession Session & Scare Stairs ! In an age where slot-producing rivals have aggressively upped the ante, mFortune rightfully responded by packing even more features than they ever have before into Buster Ghost. You’ll find three full-feature mini games in Buster Ghost, each with a convincing narrative and multipliers galore. First, let’s take a seat at Psychic Shock Shack. Six cards are laid face-down on the table. You’ll flip cards and try and pick two matching symbols. There are three pairs of symbols in the batch (star, circle and squiggly lines); each pair is worth a different multiplier. (Secret tip: go for the star! It’s the pair with the largest multipliers – about 20x). Anyway, if your cards don’t match, you’ll be electrocuted. Thankfully, your game persona can sustain lots of shocks. This mini game doesn’t end if you don’t pick the correct pair, so you can just keep going until you get your first match. The second game is called Possession Session. You'll be taken to a room where six random household items are mysteriously floating around. I’d be creeped out if I found the gramophone, telephone, couch, TV, kettle and my pet cat suspended in mid-air! Anyway, it turns out that five of these items are harnessing the power of bonuses to float while one houses a ghost! Your job is to pick an item and press scan to investigate it. If it's ghost-free, you'll pocket the cash multiplier. However, if it's haunted, the ghoul will jump out and the mini game will end. You can keep picking items until a ghost pops out. So, if you manage to miss the ghost each time, you'll rack up five multipliers! Finally, there’s Scare Stairs. As you enter this mini game, you’ll find Buster at the top of a flight of stairs. On the adjacent wall hangs six portraits of the house’s deceased residents. The ghosts apparently hang around in their portraits; some are friendly and some less so. You’ll hit the ‘Creep’ button to guide Buster down each step. Meanwhile, his ghostbusting device will try to capture the ghost from the picture. Be careful – if you spin the spooky ghost, that's the end! For each step you go down, you will pocket that multiplier. The further down the stairs you go, the more you will win! Of course, if you reach the very bottom, you’ll be rewarded with a massive 80x payout! When it comes to producing slot games that are equally profitable and engaging, mFortune reigns king. Their entire portfolio of original games and loyal following of followers underscores their status as UK’s top real-money gaming company. In fact, the London Stock Exchange Group even recognized mFortune as one of the “1000 Companies to Inspire Britain” in 2015. It’s easy to see how they deserved that honour. The homegrown casino has been growing at such a dizzying pace – hundreds of thousands of players and over £40 million paid out each month! Want to play Buster Ghost? Buster Ghost mobile slot is a stellar production from mFortune Casino. Start playing with a £5 free bonus! Buster Ghost After spending an entire hour with Buster Ghost, we’re convinced that mFortune has refined even its most popular game, Buster Safe. The first version had us breaking into bank safes and sneaking past neighbourhood cats into our getaway van. This palpable level of excitement is well-maintained in the sequel, Buster Ghost. It also helped that every time we crept down Scare Stairs or navigated floating items meant payday. I wouldn’t mind an entire series of games where we follow Buster on his crazy adventures! Don’t forget: mFortune offers extra spins on all of its new games, plus an extra £5 for players that have never played at mFortune before. Not only that, there’s a 100% deposit bonus on your first deposit. You don’t want to miss out on free cash now, do you?